As per research data by Cushman & Wakefield, 4,500 housing units were launched in H1 2015 with 99 per cent of them being in the apartment format. With the influx of new investments in the state, developers are looking to cater not only to locals but also to the influx of people expected to move to the state in the next few years. Hyderabad is perceived to be eminently affordable, especially by outsiders, and that is likely to make buyers prefer investing in homes rather than pay rentals. There is also a huge pent-up local demand, and industry insiders place the number of people looking out for an apartment, but sitting on a fence at over 5,000 families. A recent survey by Zyfin research states that with home loans becoming more affordable and RERA coming into play, the market has become more conducive for home buyers and many are looking at buying a home in the next 6 months to 1 year. Based on the survey, 44 per cent of respondents (between 18-34 years of age) are planning to buy a home in the next 6-8 months as compared to 31 per cent in June 2014. 74.3 per cent of the respondents from Hyderabad showed optimism to make this move. Mitesh Kulkarni, CMD, Accurate Developers Pvt Ltd says, Buyers have realised that apart from being affordable, the head room for capital appreciation in Hyderabad is good which is pulling more investors. It’s true that in the last 10 years a majority of the developers have been focusing on building gated communities in the apartment format. This is being done with a focus on the IT segment. Even people from the upscale market are inclined towards such homes as it provides easy accessibility to several amenities instead of having to join different clubs and groups to meet their social and recreational needs, says P Sreenivas Reddy, executive director, Rajapushpa Properties Pvt Ltd.
Research also shows that properties in the `45-85 lakh bracket are witnessing maximum traction now. About 75 per cent of buyers, even young 1st time buyers in the city are looking to buy for end use and prefer completed projects even though it would cost about `100 to 200 more per sq ft, says Srinivas Kura,of Manjeera Constructions. The Hyderabad market continues to be an end-user market lucrative to young and first time buyers. Many of the buyers in Hyderabad are first time buyers and don’t want to take a risk. The sector needs to focus on timely execution of projects to help the market turnaround. Delayed acquisition of a unit only increases the cost for a buyer, says Srinivas Manda, vice president, Hill County Properties. Infrastructural development such as schools, hospitals, entertainment centres and so on are coming up in peripheral areas of the city too, making them self-sufficient for suburban living. With projects to improve connectivity such as the Outer Ring Road (ORR) and metro on an upswing, buyers are willing to invest in these areas. Today, location isn’t the only factor gauged while buying property. Open spaces and landscaping are considered as premium aspects of a project too. 75 per cent of project could be open area in a suburban location. Using the ORR, people can reach the CBD in about 30 minutes, says Ajay Salike, MD, Armsburg Properties. 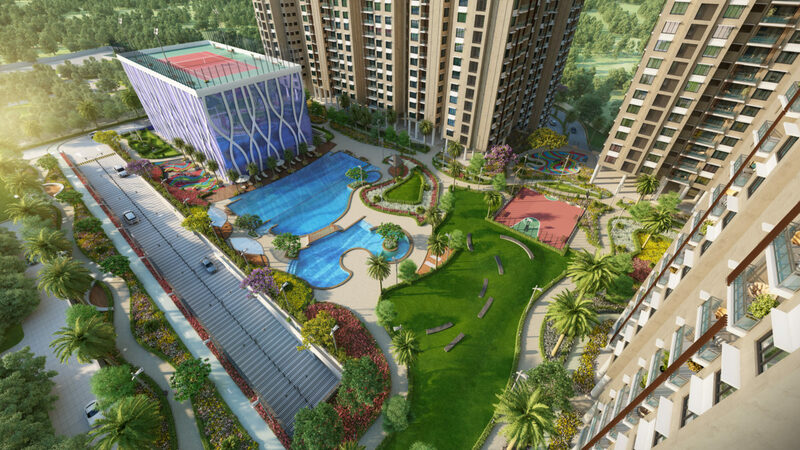 As the spectrum of buyers is broadening, their increasing awareness and exposure has resulted in the upgradation of facilities expected from a project. Along with having more open space, multiple car parks and sports facilities, buyers are now willing to spend a little extra for a Smart Home. Automation is the next feature which people will opt for. With an added cost of about `300 to 400 per sq ft, one can control their home from a single console, from anywhere, says Narotham Reddy, GM, Cybercity Builders and Developers.